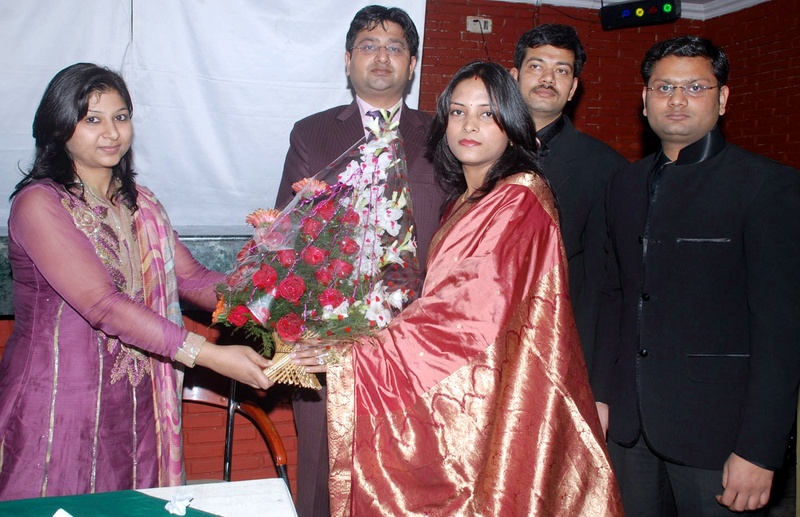 Neusource process outsource private Ltd. Celebrated its Third Annual Day founction in Delhi. A rocking party for team neusource was organized on the occasion at West Delhi in subhash Nagar, good performers were awarded at the fanction. Team was addressed by chief Guest Mr. Rajiv George,CMD of Greves Group and directors of the company. Various Management games were also played in the event Jai sethi, Hemant Gupta & G S Periwal motivated the team. Mr. Jai Sethi expained that has been observed that various are opting for outsourcing their accounts function rather than doing in house processing. It is the latest trend in vogue that is being tapped by various KPOs for their benefits. He said that Indian KPO market is now growing at rate of 14 % per annum and a lot of accountancy & law professionals are joining to the industry and doing great jobs in the industry. Neossource is a business process outourcing company of accounting & law professionals. Nousource has experienced, qualified people combined with support technology for providing accounting outsourcing to make the service look and feel like there are additional accountants working from within your office at a fraction of the cost. The Neusourcw team is well – versed in the field of accounting, management, taxation and corporate and other mercantile law. The team working at Neusource goes through a rigorous training program implemented to serve clients better.